Change the wallpaper. Go to Settings > Wallpapers & Brightness > Choose a New Wallpaper. Turn perspective zoom on or off. 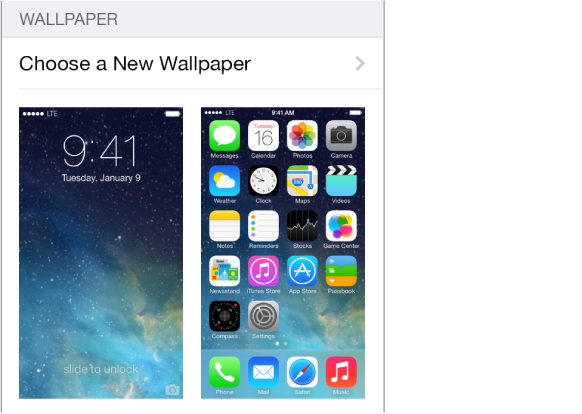 When choosing an image for new wallpaper, tap the Perspective Zoom button. For wallpaper you already set, go to the Wallpapers & Brightness setting and tap the image of the Lock screen or Home screen to display the Perspective Zoom button. The Perspective Zoom setting determines whether the selected wallpaper is zoomed automatically. Note: The Perspective Zoom button doesn’t appear if you have Reduce Motion in Accessibility settings turned on. See Reduce onscreen motion.